Corporate Support would like to extend sincere thanks to all who supported last year’s fundraising in aid of the Poppy Appeal Fund, and to all who attended the Remembrance Sunday Service on 11 November 2018. 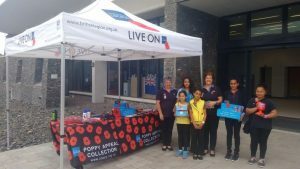 The sum of £1,434.97 was raised this year and will be sent on behalf of St Helena Island to The Royal British Legion’s Poppy Appeal in the UK. Grateful thanks are extended to Mike Durnford for his continued voluntary support to the Poppy Appeal Fund and to his team of volunteers consisting of the Longwood and St Paul’s Guide Leaders, Guides, and Brownies, as well as Phyllis Yon of the Salvation Army, all who assisted in raising public awareness and promoting the Poppy Appeal. 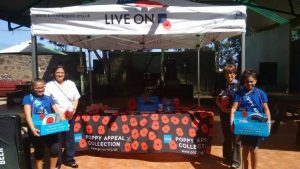 Sincere thanks to those who continue to generously support the Poppy Appeal and to the Jamestown Rifle Club for their donation this year. We look forward to your continuing support and dedication to the Poppy Appeal Fund and Remembrance Sunday Service.